Devonshire Hill Farm was located west of River House and owned by the New River Company. Devonshire Hill Lane terminated at the farm. Like River House the abandoned loop of the New River ran through the farm land. By 1899 Samuel(1) was living at the farmhouse, rented from the New River Company, with his family before moving to Snells Park in the early 1900's. Samuel(2) travelled from the farm on Thursday, 22 September 1899 to the Congregational Church, Edmonton for his marriage to Maud King. After his departure, Samuel(1) continued to lease the farm which was let to tenants, one of whom sold refreshments and sweets to passers-by. The favourite treats of Maud (Hickson) and Joyce (Barker) were Whipped Cream Walnut and Sharpes Creamy Toffee respectively. Photograph of the rear or garden side of Devonshire Hill Farmhouse taken near a gate that led to an iron footbridge over the abandoned loop of the New River. In the fields beyond Scouts were allowed to hold their camps. Further selection of photographs continued from Update No. 22.
foreground - buildings occupied by tenants. In edition No. 75 of the Newsletter, David Henderson published a description of the third leg of the New River walks organised by him. His comments "....... Devonshire Hill with its wide verges still looked quiet rural" were of particular interest. My maternal family, South, moved to Devonshire Hill Lane in 1917 when it was one of the last rural areas of Tottenham. Devonshire Hill, formerly known as Clay Hill, was part of the manorial land owned by the Curtis family. In 1881, William Michael Curtis, and fellow trustees of the Curtis Settled Estates, enfranchised the Clay Hill land which was sold to the copyhold tenant, Frederick Alderton, for the sum of £1,178. At the turn of the century, Clay Hill was reached by a winding lane from White Hart Lane passing Devonshire Hill Lodge, River House and terminating at Devonshire Hill Farm, owned by the New River Company. The descriptions of the area by Mrs J W Couchman ("Reminiscences of Tottenham" 1909) and Fred Fisk ("History of Tottenham" 1923 Second Series) paint a rustic scene. In 1868 my great-great-grandfather, Joseph South (1822-1906), founded a pottery in Dysons Road, Edmonton, supplying flower pots to the Lea Valley Nursery Industry, which he sold to his third son, Samuel South(1) (1854-1919), shortly before emigrating to New Zealand in 1874. Samuel relocated the business to White Hart Lane in 1886 where it traded until 1960. 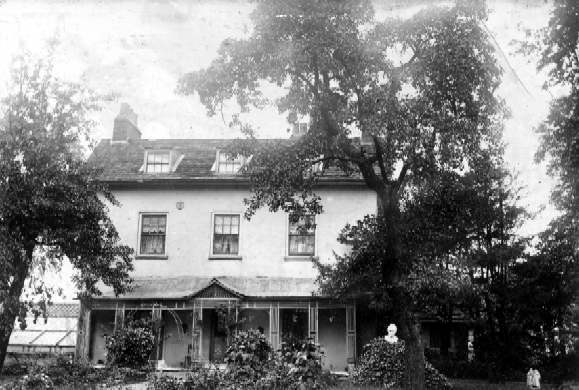 He moved to Devonshire Hill Farm in the 1890's and bought River House and the immediately surrounding land in 1912. The house was occupied by tenants until, in 1917, his son, Samuel South(2) (1876-1956) moved in with his family and there, my mother, the youngest of his eight children, was born. River House was so called because an abandoned loop of the New River, complete with footbridge, ran through the grounds. The channel ("......one rood and five perches or thereabouts") of the New River had not been conveyed to Samuel(1) and was purchased by him in 1915 for £10. The river and large garden provided a natural habitat for birds and other wild life but the bed of the river was gradually filled in with spoil from the Potteries. The property was surrounded by hayfields and pasture, some of which were rented by the Souths to provide fodder for the delivery horses kept by them and as grazing for cows. 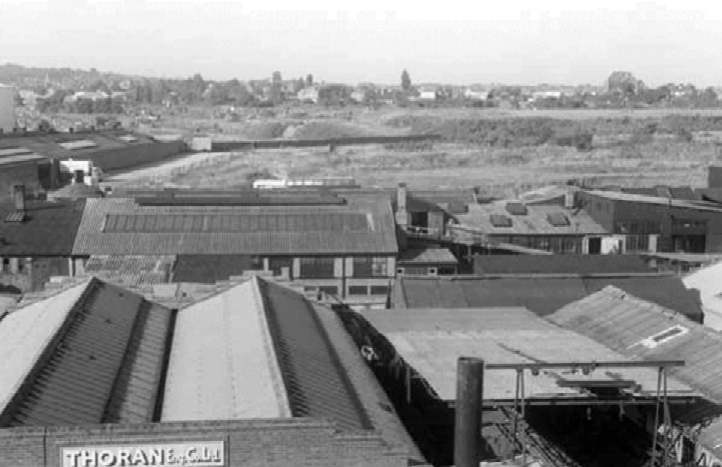 Pigs were reared at the Potteries. The children of Samuel(2) recall walking through the fields to their Tottenham schools. Clay Hill was a popular destination for other members of the South family out for a Sunday morning stroll and, frequently, up to fifteen people sat down to Sunday lunch at River House. 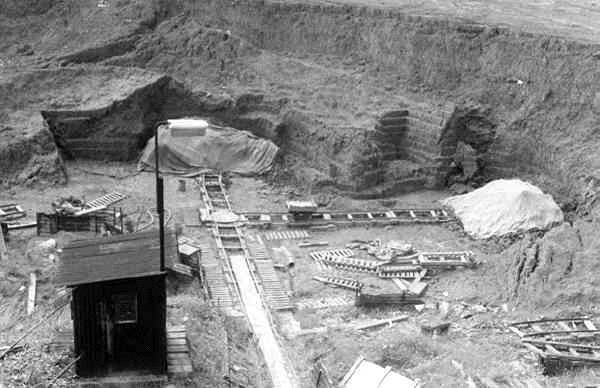 The rural atmosphere was eroded during the late 1920s and 1930s. Two terraces of houses were built on the garden of River House which was demolished and a smaller dwelling erected on the site. The garden orchard was sold to Whitbread, the brewers, and the White Hart Public House built. As recorded by David Henderson, however, traces of the rural past remain today. The wide verges in front of the housing which stands on the former garden of River House are clearly seen on Ordnance Surveys of the period, in the deeds of River House and other illustrations of Clay Hill. The channel of the New River passes between 139 and 141 Devonshire Hill Lane. In the year 2000, I have living relatives who were brought up in the country. Yes, in Tottenham!